Not everyone bothers to research on the subject, but almost every one of us comes to think of it. Photoshop truly is one of a kind; at least what most fans say, and satisfied with it, no one bothers to look for an alternative. However, it so happens that PS aint free, and that can be a bit of a problem, seeing as most people just need it as a side software, and arent exactly graphic designers, and thus to them, PS is not at all worth the money. So they dont have much of an option but to use the trial, or pirate it.But there are those who dont feel too good about Piracy, or maybe they just dont wanna go for pirated software, OR maybe they think that pirating, the PROCESS, is not worth the time and effort or is a bit too taxing, and thus they prefer going for an alternative.The best Photoshop Alternative i ever came across, is the Gnu Image Manipulation Program, mainly known as GIMP. 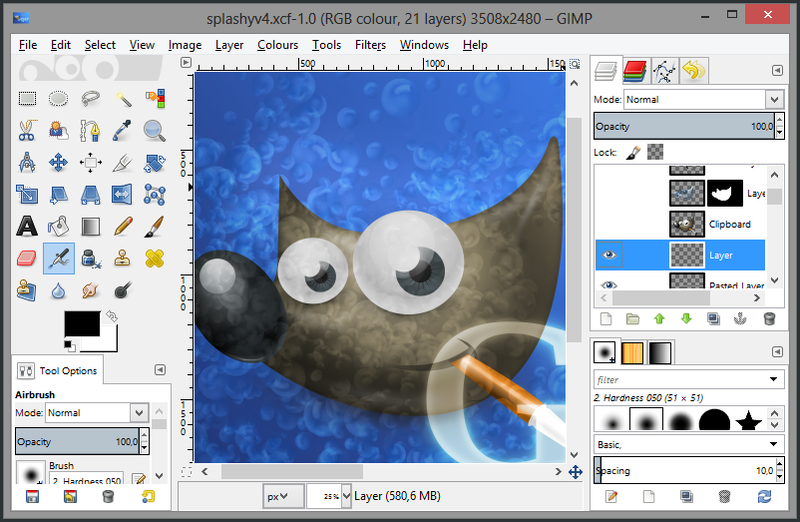 GIMP has almost all the features of PS, at least most of them, or more like all that I know of. But well im no expert, nor much of a Graphic designer, so I wont make a good judge but still, the tool is definitely worth a try for those who are looking for an alternative to photoshop. Oh and I’d like to add that its UI can be a bit confusing for PS users, as its totally different from what i expected, but it works too, just different 🙂 .